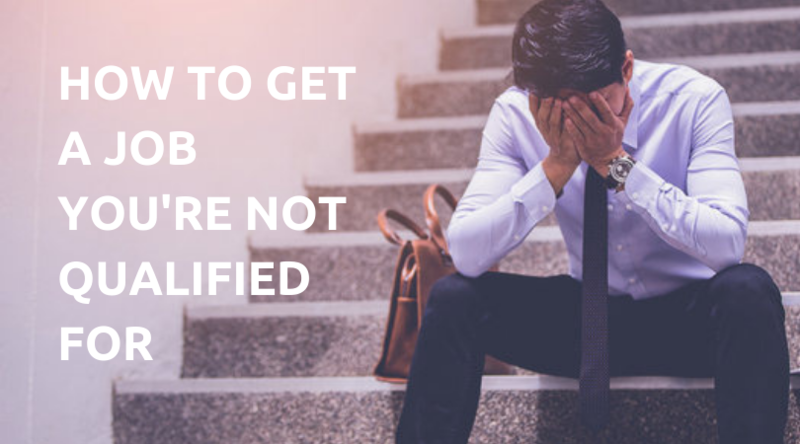 It can be quite frustrating to see a skill, qualification or experience that you don’t have highlighted in an employer’s specification for a job you believe you’re ideally suited to. Should you still apply? Or just move on and look elsewhere? Of course, there are some criteria that are non-negotiable. For instance, when a role requires at least 5 years’ experience and you only have 2 years. Or when an employer has identified a required college degree. But even in these situations, it may be worth contacting the employer to ask if they’re open to any flexibility. So should you apply for positions that don’t quite align with your background or experience? I definitely think applying for a role when not all the requirements are met is a good idea. Training could potentially be offered in the future. Roles may also evolve over time, and job descriptions change as well. My advice to a job seeker is to apply if they meet at least the core requirements, and just be open to learning new skills in the future. I’ve also listed below some tips on applying for a job, even if you don’t meet all the requirements. These are the competencies you’ve developed in former roles that transfer well to a new, unrelated position. These are soft skills, such as your communication, organisational, prioritisation, teamwork, or problem-solving abilities. Evaluate the job ad and try to link your soft skills and the strengths employers like a new hire to have. If you can show that you have many of the necessary abilities, even if you lack the technical knowledge, you have a greater chance of being considered for the role. Refer to experiences where you immediately learned new skills that resulted in key outcomes. For instance, project management positions often require applications with previous project management background. Although you’re not officially working as a project manager, you may have used these skills to effectively manage your own tasks. Or if you’re trying to land a role in accounting or finance and only have your retail experience to draw upon, you can highlight your attention to details in balancing and reconciling high volume of cash as well as your integrity. Try to be comfortable in highlighting these skills on your resume and cover letter, and be confident in talking about them during job interviews. Provide evidence and show potential employers that you can achieve results by applying these soft skills. Become aware of the kind of language that’s used in the job description and optimise your resume and cover letter with the same phrases, while still being honest. Employers use keywords to shortlist candidates with the desired skill sets and qualifications. An automated resume scanner (called Applicant Tracking System or ATS) scans candidates’ resumes for these keywords. It’s for this very reason that the keywords on your resume and/or cover letter could make or break your job application. To get past the ATS, pull out the most important keywords from the job posting and use them on your resume and cover letter. Make sure skills and qualifications are written in both full length and acronyms to guarantee your resume covers all types of keyword searches. Spell out the words or phrases and use the acronym in parenthesis. By doing this, you can work the automated scanners to your advantage and get your resume and cover letter into the hands of a human reader. If odds are stacked against you, your best chances at success lie with having the right industry connections. An ‘insider’ in a company you wish to get into can be your advocate and respond to questions that might arise when it comes to your capabilities. You may not have all the job requirements, but there are potentially good reasons why you can do the job as well as (or even better than) other highly qualified applicants. Start networking with people in your desired industry or sector. Research the key influencers in that sector and reach out to them through social media. You should also pursue networking through your personal connections including your friends and family members. Networking is advantageous. If, as a result of networking, you’re able to cultivate a strong relationship with someone inside your dream company, this person can speak on your behalf and inform the hiring manager of your transferrable skills and values. Knowing an individual inside your dream company can become a plus factor for getting hired. By having an ‘insider’ who can attest to your integrity, character, and soft skills is similar to getting a free endorsement for getting employed. You should always apply for a role where you don’t fulfill all the requirements mentioned in the job advertisement. Experience and transferrable skills are the main factors to be looked into for applying for a new position. The tips I’ve mentioned above are necessary to concentrate on when applying for positions where you don’t meet the requirements. To get past the initial screening, and get hired for a job where you need to meet the prerequisites, these tips can be helpful.